Sheriff David Beth said Tuesday he will meet with sheriff’s department detectives and the district attorney this week to discuss the next steps in the investigations on the Schmeckel farms. “The Schmeckel family continues to be very cooperative in this clean-up process and the conditions are now satisfactory,” Beth said in the press release. 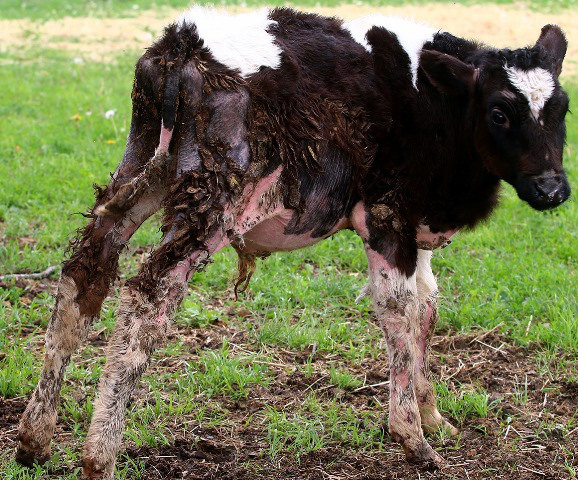 The Kenosha County Sheriff’s deputies responded to an alleged animal abuse complaint on a farm in Brighton Township May 22, finding 52 deceased animals on a farm on 275 248th Avenue (Highway 75). While investigating the first location, the sheriff’s department discovered a second location. The second farm, at 20801 First Street in Paris Township, had at least 30 dead calves. Live calves were taken from the first property and moved to a farm owned by Beth. According to updates, there are no cattle left at the 248th Avenue location. About 100 cattle remained at the First Street farm as of last week. The press release said that the Schmeckels have begun to reduce the size of the cattle herd at the First Street farm, allowing other farmers to purchase some of the cattle. The status of the 15 calves moved to Beth’s farm will be determined following the meeting with the district attorney. Beth said the smaller calves of the 15 are showing improvement. Deputies are continuing with daily inspections at the farms.